An El Al Israel Airlines flight from New York that was escorted by military jets in Europe following a bomb threat has landed safely in Israel. The airline’s president David Maimon said Flight 002 from John F Kennedy airport touched down after an anonymous tip was received regarding a potential bomb threat on board. 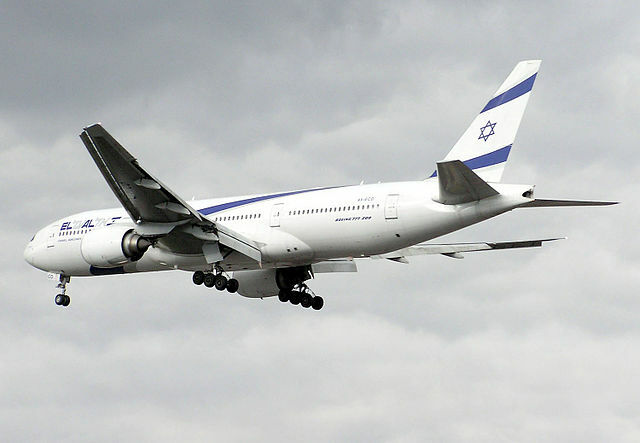 Following the tip, France and Switzerland deployed military jets over their airspaces as escorts for the Boeing 747 plane flying towards Israel. The Swiss air force said in a statement that it deployed jets at around 8.30am local time on a so-called “hot mission”, that accompanied the flight. Vladi Barrosa, a spokesman for the Swiss government-run air navigation service Skyguide, said the plane left Swiss airspace safely into Austrian airspace. Mr Barrosa, working in the Zurich area, said he too heard the blasts. “I thought my windows were about to burst,” he said. He said French military jets had also escorted the flight prior to its entry into Swiss airspace.